✔Enjoy playing your games or watching videos on bigger screens? ✔[2018 NEWEST UPGRADE VERSION] WIFI Display Dongle is your best choice. Do you have trouble with small screen? 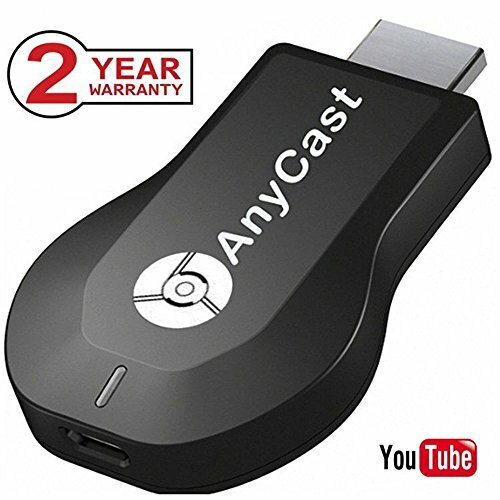 1.Wecast miracast adapter, NO NEED MODE SWITCHING. (Remark: Please be sure it supports MiraCast when using Windows system). (Photo/video/music/Word Excel PPT PDF/ online TV/internet) to your big HDTV (up to 1080p). 3.Easy Setup: Only 3 steps to enjoy media files on the large screen: Plug>MiraCast>Mirroring. No additional app or driver on your smartphone or tablet is required. If you have any questions about this product by SKROAD, contact us by completing and submitting the form below. If you are looking for a specif part number, please include it with your message.